I am a PhD candidate at Department of Electrical and Computer Engineering, Northeastern University. My advisor is Prof. Ningfang Mi. I received my M.Eng. degree in Computer Science from Southeast University in 2010, and B.Eng. degree in Computer Science and Engineering from Southeast University in 2007. I am a member of the Northeastern University Computer Systems Research Laboratory (NUCSRL). My research interests include resource management, scheduling policy, performance evaluation, system modeling, simulation and cloud computing. I am currently working on resource management in Hadoop cluster and workload consolidation policies for virtual machine management. 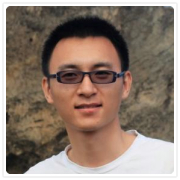 Yi Yao, Jianzhe Tai, Bo Sheng, and Ningfang Mi, "LsPS: A Job Size-Based Scheduler for Efficient Assignments in Hadoop", to appear, IEEE Transactions on Cloud Computing (TCC), 2014. Yi Yao, Jiayin Wang, Bo Sheng, Jason Lin, and Ningfang Mi, "HASTE: Hadoop YARN Scheduling Based on Task-Dependency and Resource-Demand",in the IEEE International Conference on Cloud Computing (Cloud'14), June 2014. Acceptance Rate: 20.0%. Jianzhe Tai, Bo Sheng, Yi Yao, and Ningfang Mi, " Live Data Migration For Reducing SLA Violations In Multi-tiered Storage Systems", in the IEEE International Workshops on Cloud Analytics (IWCA'14), Boston, MA, March, 2014. Yi Yao, Jiayin Wang, Bo Sheng and Ningfang Mi, "Using a Tunable Knob for Reducing Makespan of MapReduce Jobs in a Hadoop Cluster", in the Proceedings of the IEEE International Conference on Cloud Computing (Cloud'13), pp. 1-8, Santa Clara Marriott, CA, June 2013. Acceptance Rate: 19.0%. Yi Yao, Jianzhe Tai, Bo Sheng, and Ningfang Mi, "Scheduling Heterogeneous MapReduce Jobs for Efficiency Improvement in Enterprise Clusters", in the Proceedings of the IFIP/IEEE Integrated Network Management Symposium (IM'13), pp. 872-875, Ghent, Belgium, May 2013. (Short paper) Acceptance Rate: 27.0%. Yi Yao, Bo Sheng and Ningfang Mi, "DAT: An AP Scheduler using Dynamically Adjusted Time Windows for Crowded WLANs", in the Proceedings of IEEE International Performance Computing and Communications Conference (IPCCC'11), Orlando, Florida, Nov. 17-19, 2011. Acceptance Rate: 34.8%. Jiuxin Cao, Yi Yao, et al. "Semantic-based Self-organizing Mechanism for Service Registry and Discovery'', in the Conference on Computer Supported Cooperative work in Design (CSCWD'10 ), Shanghai, April, 2010.